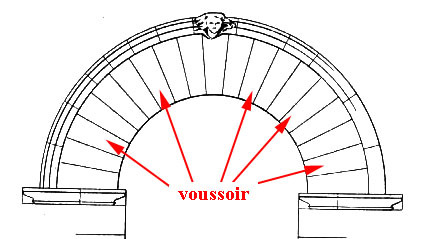 voussoirs: WHAT DOES A NON-PRACTISING ARCHITECT DO? 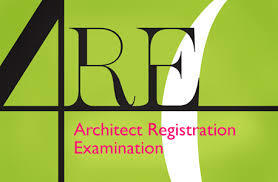 It is that time of year again - renewal of registration for architects. 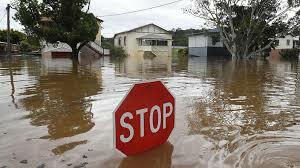 In Queensland, Australia, this is an annual event with an annual fee. Just how this fee is spent, and on what, is never made clear. Is it just wasted on administration? Hopefully it is not spent on the travel, accommodation and restaurants that some other professional body fees seem to fund. Yet again the terrible graphics have arrived. * Does anyone care? Why does a body that is supposedly interested in design, in policing the quality and performance of the profession, have this terrible presentation: such awful graphics; such a crude logo? This identity, the Board’s image, is truly astounding and does beg the question concerning any serious commitment that this body has to quality. It really should set the example for all. Is CPD merely an administrative game to keep some bureaucrats employed? Is this where the fees go? Is there really any point? After perusing the messy forms, the one title that sticks in the mind is: ‘Non-Practising Architect.’ Here one is asked somewhat cryptically to ‘Tick to choose non-practising’ in order to formalise this status with the statement: ‘I declare that I will not practise as an architect in Queensland.’ What does a non-practising architect do after paying a fee to be policed by the State? Nothing? If one were not practising, why would one ever choose to pay to be put under the scrutiny of the Board of Architects? What might be the penalty if one did practise after declaring one would not? 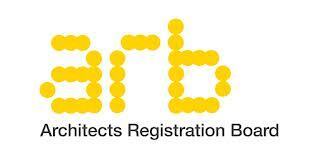 Removal of registration as a non-practising architect would hardly seem to be a punishment. This strange category seems to have been created so that a person who holds an architectural degree can use the word ‘architect’ as a label even when not practising. Is this so? There is not only a silly irony here, there is also the serious question about what a non-practising architect might do or not do within the rules of this grouping. 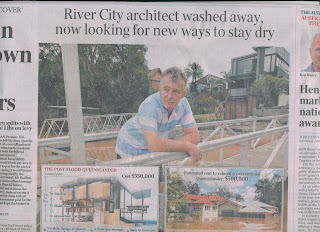 This can perhaps be phrased differently: What does a practising architect do? One might assume the answer to this last question would give the list of activities that a non-practising architect should not get involved in. But is this so? The doubt about what a non-practising architect might be allowed to do is not resolved with a simple or a straightforward answer. These matters have been discussed previously. * There is a real complication with managing the activities of the architectural profession as it is so diverse in its specialisations. These divisions not only exist in a practice: manager, detailers, designers, specification writers, CAD specialists, etc. ; but also in other activities that architects undertake: court cases where expert opinions are sought, education, and writing about architecture as theoretician or critic, and more. The profession is broad in its interests and expertise: such is its delight. This depth of involvement makes CPD an extremely difficult concept to define. What might be useful for one could be totally useless for another. If it is difficult to explain what an architect does, it is just as perplexing to schedule what a non-practising architect does not do - indeed, should not do! How is it possible to police an individual when there is no list of matters available to indicate what a person who is a self-declared non-practising architect might not get involved in? Is one asked to register to do nothing, and pay for this privilege, just to be able to use the word ‘architect’ on one’s letterhead for some sense of prestige, if there is any left in this profession? This attempt to manage the use of the word ‘architect’ appears to be silly when one knows how the word ‘architect’ is bandied around meaninglessly in our language, e.g. the architect of … . * Then there are the qualifications that seem to hold no restrictions: e.g. ‘Landscape Architect;’ even 'Hair Architect.’ The usage generates no murmurs or stirrings within the Board. What is it that this Board seeks to control? I have seen no clear or useful statement to clearly indicate just what might be involved in the idea of registration and CPD for the profession today. If this information cannot be made unambiguously specific, then what is the point? There seems to be no point if this control is only to protect the use of the word ‘architect’ when it is used by all and sundry in various different ways without challenge. If the purpose of this regulation can be made clear and precise, then why has it not been? The whole affair appears to hold that strange sense of: other professions are doing this sort of thing, so architects might as well do it too. A friend in the UK is an accountant. He has to undertake regular CPD, but his registration is international, not merely for the UK, or for a small area of the UK. Here in Queensland, registration is State specific. It is simply parochial. It looks like it is inept. Why have it? Is it to ensure the quality of outcomes - perhaps of practitioners? Is it to protect the public from charlatans? Is it possible to do this with a set of boxes that have to be ticked? A quick look around the State does not give one confidence that the Board has done very much with regard to outcomes. Considering the breadth of the interests in the architectural profession, how is one to ensure that each interest is being usefully enhanced by any extra CPD activity? Who is going to gauge this? 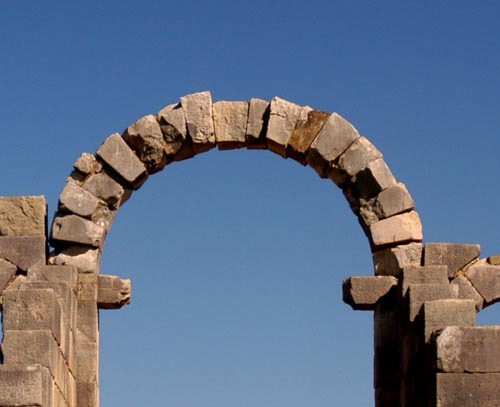 Who has the breadth of knowledge and understanding that can assess another’s expertise, and the gaps in it? Then, of course, as has been previously discussed,* there is the matter of maturity. My UK friend says that the accountants’ registration office in Britain has a category for mature practitioners who are not asked to undertake the activities that a newcomer to the profession might be told to engage in; and these accountants are not asked to declare themselves as ‘non-practising’ either. In Queensland things are different. It seems everyone has to go to silly sessions even if they might know more than the presenter, just for the points - and at a good cost too - all because of the rules. It looks as though the Board has established a new business for those who might choose to exploit the position. In all of this chaos and mess, what is one to do? Given that one is responsible for one’s own CPD and that one knows what one might need to improve, to complete or to expand one’s interests, or depth of understanding, one can then surely assess one’s own involvement and honestly tick the box to indicate that CPD requirements have been fulfilled. How else might CPD be useful? What happens if the second box that declares that one has not completed the requirements is ticked: ‘I have not completed the minimum 20 hours CPD between 1 April etc.’? 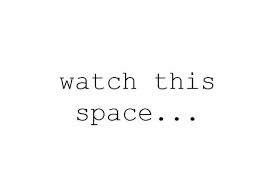 Is one examined to see if the activity that one has been involved in is or has been useful or relevant? By whom? Who could tell? The issues are not clear or certain at all, especially when the Board does not accredit any point-accumulating CPD activity. 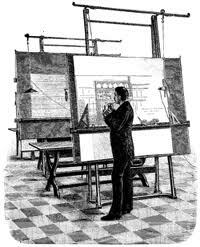 It is all a messy situation; and still one does not know what a non-practising architect has to do, or not do. 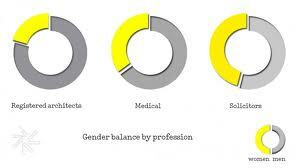 Is it really possible to police an architect when the profession includes such diversity? Is it useful? Is a Board of Architects really necessary? What are the benefits for the profession and for the public in having a Board when matters are so vague and indiscriminate; and when the Board’s graphics set such a terribly poor example for all. If the Board is seeking more recognition and respect, then it has to do much more for the profession that check to see if the boxes have been ticked. 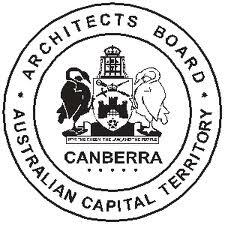 Why does the logo for the Board’s new graphic not appear on the Board of Architects of Queensland site: www.boaq.qld.gov.au/ ? Earlier this week there was yet another astonishing adaptation of the word 'architect'. The television report spoke of a past prime minister: "Menzies was the architect of Australia." One will have to stop collecting these usages, as they are becoming just too familiar and diverse. The point has been made.
" . 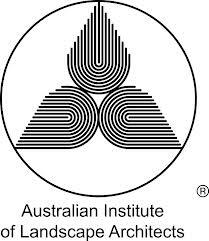 . . come back with an architecture and see if it works" - Kevin Andrews speaking about disability welfare on ABC 7:30 Report. He later explained: "He'll come back with an architecture - proposals to restructure the system." " . . . the architects of the Nazi holocaust." ABC Media Watch. Yet another! Will it ever stop? The architect of the deadly Lindt Cafe siege had a long and documented history of dangerous behaviour. The quote is referring to the gunman Man Haron Monis. The use of 'architect' in this context does nothing but disrupt any clear understanding of what an architect might be or do.